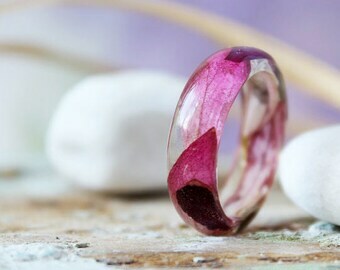 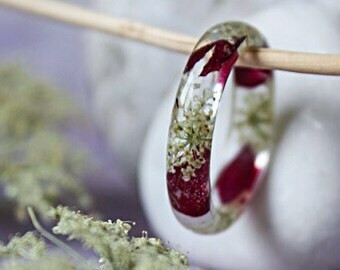 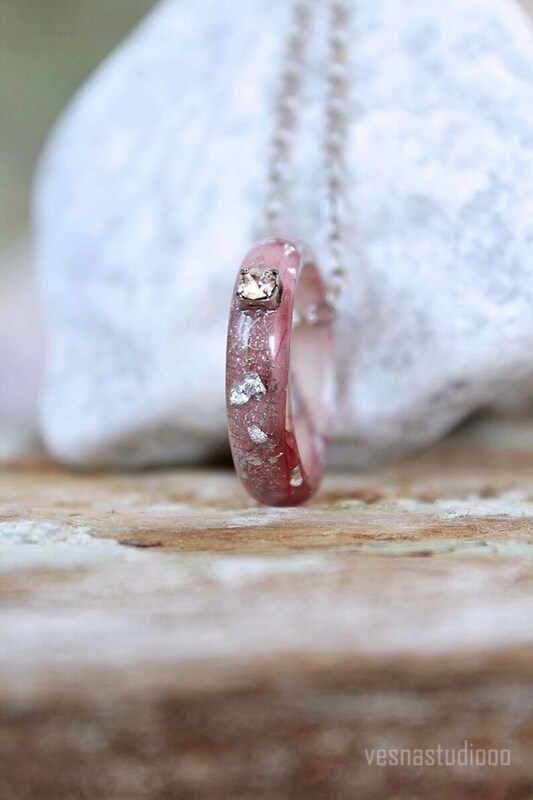 A pressed flower ring composed of pink gerbera flower, a leaf skeleton, 925 Silver flakes, Swarovski crystal sealed in resin. 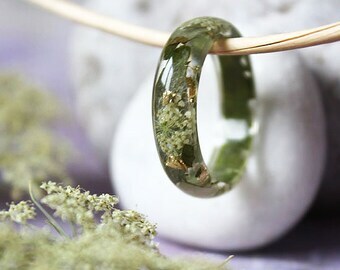 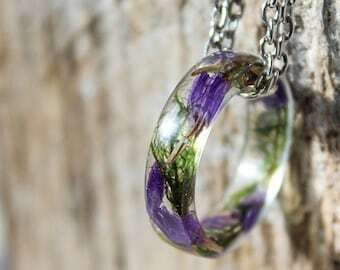 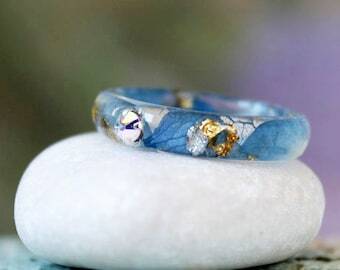 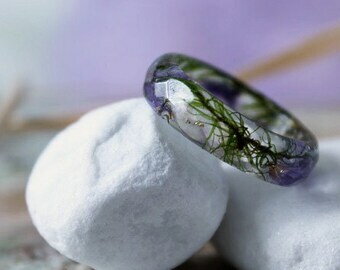 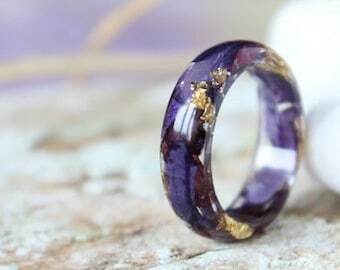 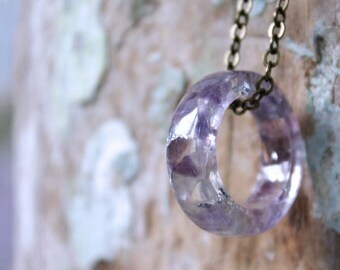 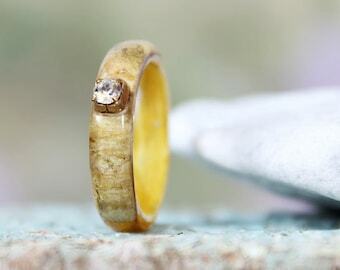 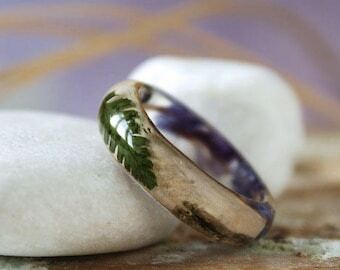 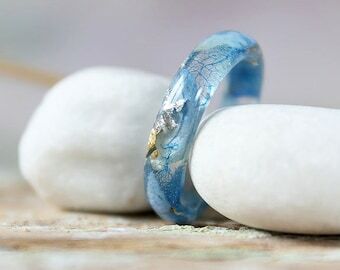 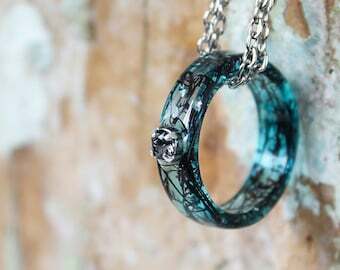 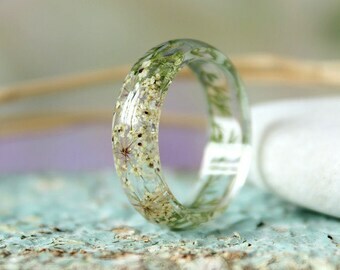 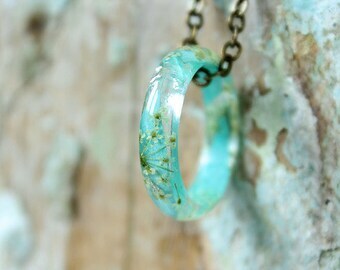 This wonderful ring is perfect for the nature lover. 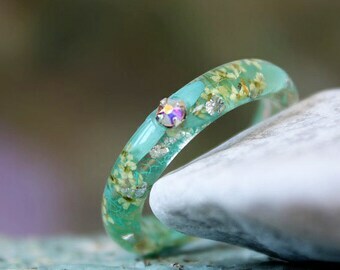 Will be delivered in the gift box as in the photo.